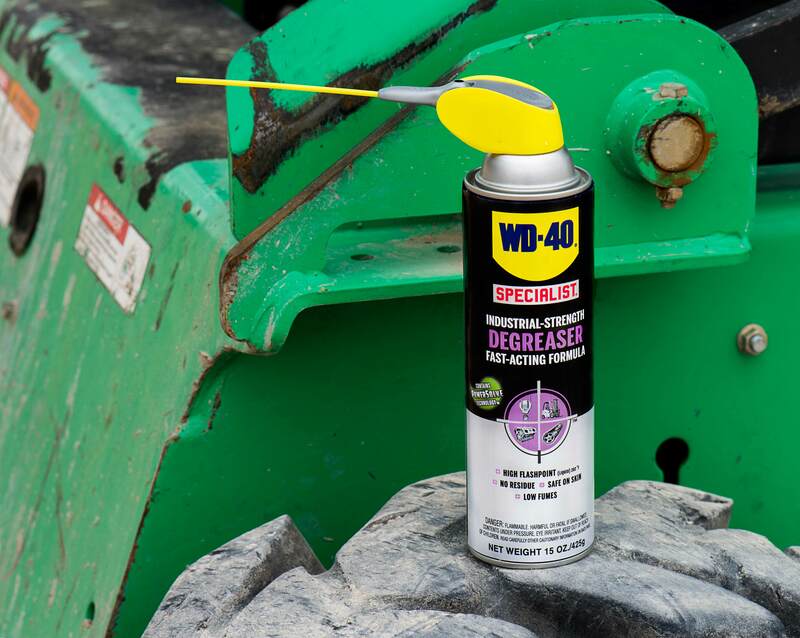 WD-40 Co. released WD-40 Specialist Industrial-Strength Degreaser with PowerSolve Technology, a proprietary solvent that works quickly to safely break down grease, oil and dirt on a variety of surfaces such as metals, plastics, rubber, glass and aluminum, according to the company. Designed to keep machinery and equipment running smoothly and looking fresh, the new degreaser features a Smart Straw, allowing for either a pinpoint stream when in the “up” position or a wide spray when flipped down. The fast-acting formula is 50-state volatile organic compound (VOC) compliant, with low fumes and a flash point of 202°F. The 15oz aerosol is now available at retailers and distributors nationwide.